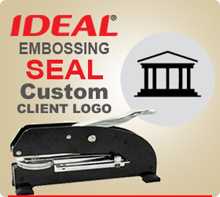 Embossing Seals, Custom Seals with Open Book, Solid Cross, Initials or the Word SEAL in Seal Center or other Custom Design can be found here. 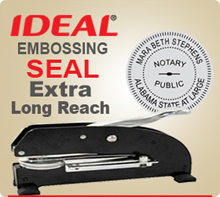 Click the following highlighted words if you are looking for a Corporate Seal , Notary Seal or Professional Seal as they are in another product category. 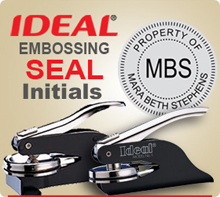 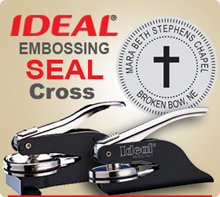 This product category is for Custom Embossing Seals.